Dr. John Kearns is a 1981 graduate of the University of Iowa College of Dentistry and received his Master of Business Administration from the University of Chicago Graduate School of Business in 1997. Dr. Kearns has been involved in dental education for more than 25 years, teaching for the University of Iowa College of Dentistry and conducting lectures at dental schools throughout the United States. Dr. Kearns maintains his cutting edge approach to dentistry by participating in frequent continuing education courses related to implant prosthetics, Invisalign tooth straightening, and cosmetic dentistry. As a result of his expertise, he was selected as one of 12 North American dentists to serve on a product development board for the 3M Corporation. He is actively involved in a number of civic and dental organizations and has served as President of the Des Moines District Dental Society, the University of Iowa Dental Alumni Association, and the Iowa Dental Foundation. 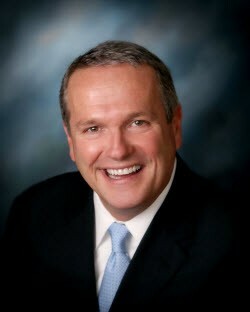 He serves on the Board of Directors for Delta Dental of Iowa and the Civic Center of Greater Des Moines. 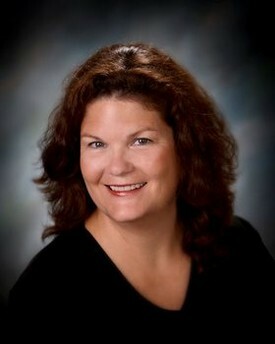 Dr. Carol Cleaver joined Fleur Dentistry after graduating in 1993 from the University of Iowa College of Dentistry. She began her journey in dentistry as a dental assistant for eight years prior to dental school. Four of those years were at a children’s dental office where she learned to enjoy the challenges and rewards that come along with caring for children. Dr. Cleaver serves on the Board of the Dental Assisting Program at the Des Moines Area Community College and was an instructor in their Dental Hygiene Clinic. She is a member of the Des Moines District Dental Society and has served as President of that organization. She is a leader in the Iowa Mission of Mercy, providing much needed dental care to the underserved. Dr. Cleaver is also a member of the Iowa Dental Association, the American Academy of Dental Sleep Medicine and a member of the American Association of Women Dentists. Dr. Cleaver enjoys working with patients of all ages. Her particular interests include sleep dentistry and cosmetic dentistry including implant prosthetics and Lumineers. Dr. Michael Main is a lifelong Iowa native and grew up in Urbandale. He attended the University of Iowa where he received his Bachelor of Science Degree, majoring in Microbiology. Dr. Main then continued towards his Doctor of Dental Surgery Degree at the University of Iowa College of Dentistry graduating in 2006 and joined Fleur Dentistry in 2009. Dr. Main is active in the dental community as a member of the Des Moines District Dental Society, Iowa Dental Association, the American Dental Association, the Seattle Study Club, and the American Academy of Implant Dentistry. He enjoys attending continuing education courses on many aspects of dentistry including cosmetic dentistry, implant prosthetics, and INVISALIGN tooth straightening. When not at the office, Dr. Main is also very involved with the Des Moines East and South Chamber of Commerce serving two terms on the board which includes a term as President. 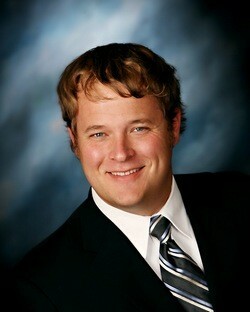 Dr. Main continues to strive for the betterment of the south Des Moines business community.